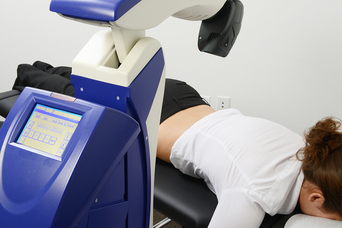 There are many different types of laser therapies. 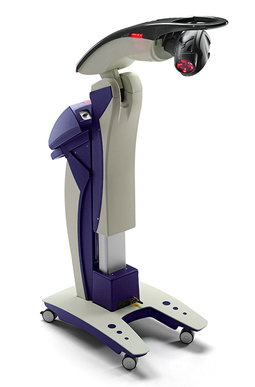 Kees Chiropractic and Laser offers a level IV MLS (Multiwave Locked System) Laser therapy from Cutting Edge Technologies. MLS Laser Therapy is a patented, FDA cleared, technology that uses red and ultra red light to created analgesic and anti-inflammatory effect. Laser Therapy has no side effects which is very effective. Photons of light from lasers penetrate deeply into tissue and accelerate cellular reproduction and growth. The laser light increases the energy available to the cell so that the cell can take in nutrients faster and get rid of waste products. As a result of exposure to laser light, damaged cells are repaired faster. 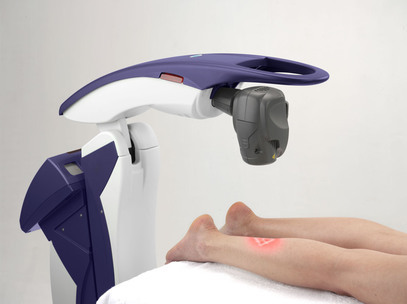 Laser light will significantly increase the formation of new capillaries in damaged tissue which speed up the healing process, closes wounds quickly and reduces scar tissue. Additional benefits include acceleration of angiogenesis, which causes temporary vasodilation and increase in the diameter of blood vessels. MLS® Laser Therapy created higher outputs of specific enzymes, greater oxygen and food particle loads for blood cells. MLS® Laser Therapy simulates muscle trigger points and acupuncture points on a noninvasive basis providing musculoskeletal pain relief. Slow recovery of nerve function in damaged tissue can result in numbness and impaired limbs. Laser light speeds the process of nerve cell reconnection and increase the amplitude of action potentials to optimize muscle healing. Laser light has a direct effect on immunity status by stimulating immunoglobulins and lymphocytes, Laser emissions are absorbed by chromophores (molecule enzymes) that react to laser light. Upon exposure to the laser, the enzyme flavomononucleotide is activated and starts the production of ATP (adenosine-triphosphate), which is the major carrier of cell energy and the energy source for all chemical reactions in the cells.